CarGurus has 83 nationwide M45 listings starting at $4,995. After notable changes in 2006, the Infiniti M45 underwent more modest modifications for 2007. New standard features include Bluetooth technology, 10 way power front seats, power sunroof, an improved vehicle status console with a 7 inch LCD screen, leather seats, and a 6 disc changer in the dash that can also play mp3's. The technological updates complement the basic features that have made the M the most modern midsize luxury sedan in the Infiniti lineup. The M45 comes in 2 trims: the Base sedan and the Sport sedan. Both use a 4.5 L, 325 hp V8 engine with 5 speed automatic transmission. In addition, both trims get you 17 mpg in the city, 23 on the highway, and have 4 doors with room for 5 passengers. Standard features include air conditioning, power windows, power door locks, ABS brakes, traction control, and stability control with optional navigation system. Expect to find close to 15 cubic feet in the trunk. Overall, reviewers could use a slightly quieter ride and more intuitively designed interior. On the other hand, drivers agree that you'll have a tough time finding superior power, handling, performance, and comfort. 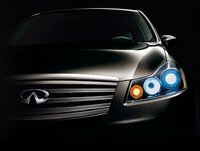 Along with the Infiniti M35, the more powerful 2007 Infiniti M45 has helped modernize the lineup as Infiniti moves toward a bright future. 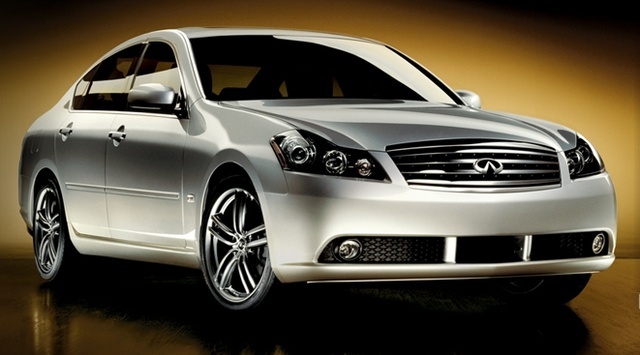 What's your take on the 2007 INFINITI M45? 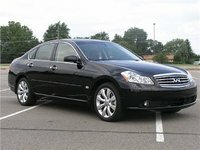 Have you driven a 2007 INFINITI M45?